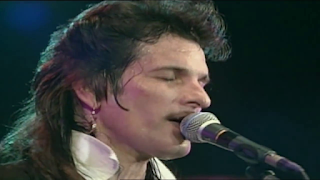 This is a sensationally good live recording, featuring an "on fire" Willy De Ville and his top notch band. They play a healthy mix of Mink De Ville favourites and solo Willy De Ville numbers. The sound quality is simply superb - big, booming and bassy. 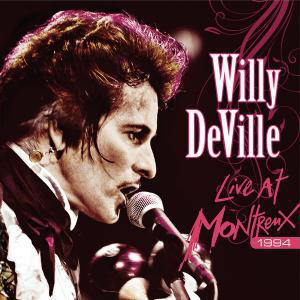 I have several Mink/Willy De Ville live albums and they are all wonderful. I was lucky enough to catch him live four times between 1979 and 1983 in his Mink De Ville era. Although this recording is from twelve years or so later it still brings back great memories. Just check out the sumptuous version of "Mixed-Up, Shook-Up Girl", or the rich, deep bass on "Slow Drain" or the bluesy grind of "Cadillac Walk" - De Ville heaven. That voice just sends shivers down my spine. His mariachi-influenced take on Jimi Hendrix's "Hey Joe" is both inventive and adventurous. He also covers Ben E. King's "Stand By Me" impressively, always did so, for many years. I say on every De Ville review I do how much I miss him. I can't help it. There is seriously not a duff delivery or duff track in this mighty performance. Highly recommended. Love it.